LG has just announced two new smartphones, the LG G7 One and G7 Fit. The LG G7 One is actually an Android One smartphone, and we'll get things rolling by talking on this phone. The LG G7 One has a display notch on the top of the display while the phone also has a "chin" under the display. The on / off button on the device is on the right, while the volume up and volume down buttons are to the left of a special Google Assistant button. The device has two cameras on the back, which also houses its fingerprint scanner. -inch full-vision display (3120 x 1440), 4GB of LPDDR4X RAM and 32GB of expandable memory. Android 8.1 Oreo is preinstalled on the phone, and since this phone is part of Google's Android One project, it comes with Android shares, without LG's skin on it. On the back of the device are 16 megapixel cameras (1: 1.6 aperture, 71 ° wide-angle lens) and 8-megapixel cameras (80 ° wide-angle lens, 1: 1.9 aperture). Megapixel camera (80-degree wide-angle lens, f / 1.9 aperture) sits on the front of this phone. A 3000mAh battery is also included while Quick Charge 3.0 Fast Charge is supported. A 3.5mm headphone jack is included as well as a 32-bit Hi-Fi Quad DAC. The phone is IP68 and MIL-STD-810G certified while it measures 153.2 x 71.9 x 7.9 mm and weighs 156 grams. 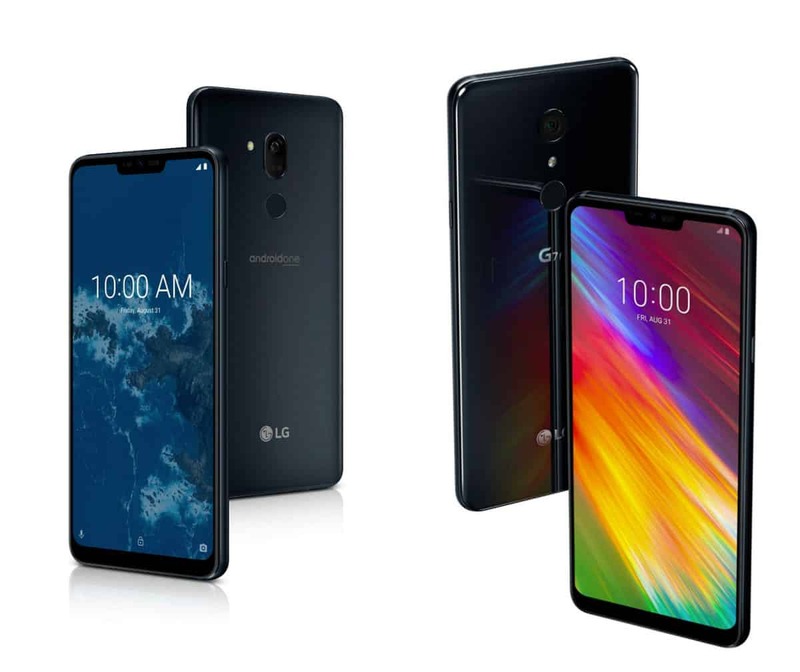 The LG G7 One comes in New Aurora Black and New Moroccan blue color variations, while the LG G7 Fit is available in the new color options New Platinum Gray and New Aurora Black. The prices and availability details have not yet been announced by LG, but both devices will be released at the IFA in Berlin this week, so we'll get more information soon.